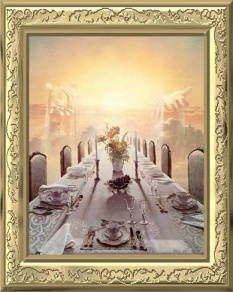 allowing us to display his painting, "You Are Invited". Image Copyright by Danny Hahlbohm. So let us enter in. Lay all your cares before His throne. Rejoice in your eternal home! Plead with them all to come inside. In whom our souls are satisfied! This a beautiful hymn and you are really helping with the chords etc. zou ik de pdf muziek kunnn bekomen ? I love this song, have loved it for years and it still speaks to my heart every time I hear it! Like song very much ! For me, this is the most anointed song you guys have written. I like most all of them, but this one stands out for me the most because I believe it speaks the heart of God to His people. I sit weeping as I write this. I cannot but feel the heart of God reaching out to His stubborn and obstinate people who have turned back toward the world for the answers of life. God bless you and keep writing. This song has been displayed 36409 times.